Home » national news » Six Cong MPs suspended: BJP mocks Rahul's "dream team"
After the Lok Sabha Speaker suspended six Congress MPs for unruly behaviour, the Bharatiya Janata Party (BJP) on 25 July said it is a new standard set by the "dream team" of party vice-president Rahul Gandhi. 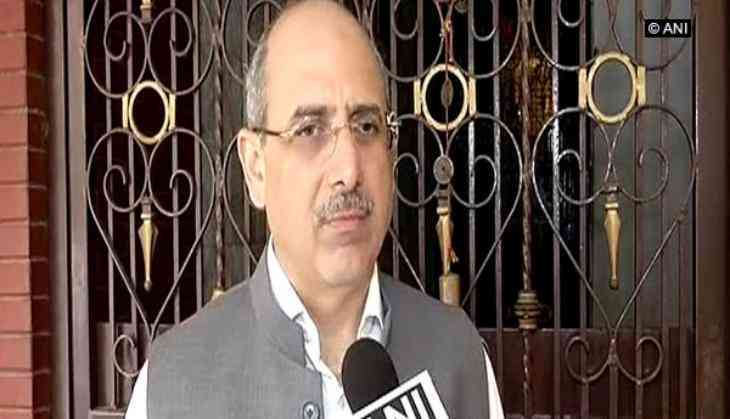 BJP leader Nalin Kohli told ANI that it is "strange" how the "young dream members" of parliament started disruption and entering the well of the House. "This is a strange situation that the Congress party under Rahul Gandhi ji and with his select team of "dream", young dream members of parliament as they call it, the "dream team" they have started disruption and entering the well of the House. Now normally such practice is seen if the chair is not permitting a discussion, or they are insisting that the discussion should be held down," he said. Six Congress members of Parliament (MPs) were yesterday suspended from the Lok Sabha for five days for their "highly unbecoming conduct" after they flung papers at the chair and disrupted proceedings in the House, while discussing the Bofors case and the recent spate of mob lynching and cow vigilantism. Lok Sabha speaker Sumitra Mahajan suspended the six Congress MPs, G Gogoi, K.Suresh, Adhiranjan Chowdhary, Ranjeet Ranjan, Sushmita Dev and MK Raghavan. She said they undermined the chair's dignity. The opposition MPs disrupted the Lok Sabha for close to an hour during zero hour. Opposition members trooped into the well of the House shouting and agitating and flinging pieces of paper toward the treasury benches and the House chair. This then prompted those in the treasury benches to shout "shame, shame". It was complete chaos.